And I gave two of them away! 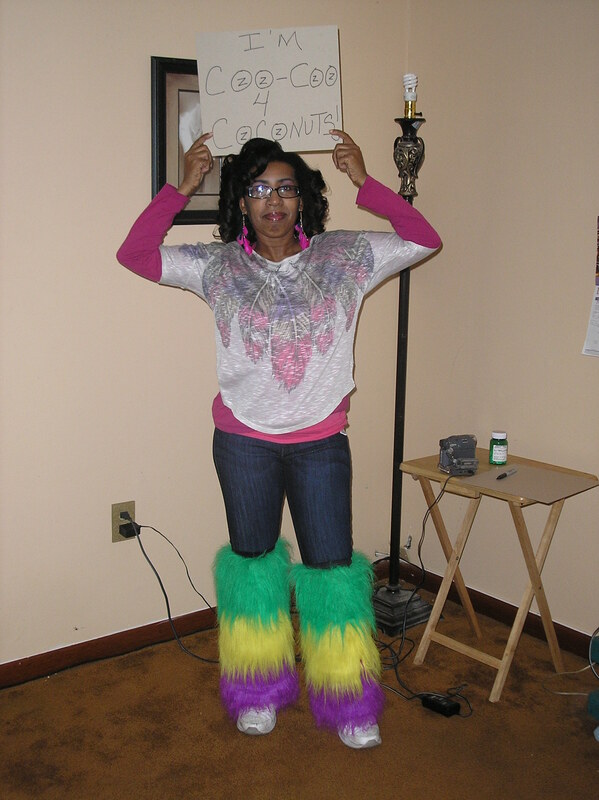 Mardi Gras was wonderful! We were in a new section of the grandstand seating and it’s much better over there. We actually had some elbow room. There’s no elbow room across the street. Next year, we’ll be picking the same spot. and that decides if I’m going to wave ’em down or not. I’m only interested in the good stuff now. But this one here is my favorite. 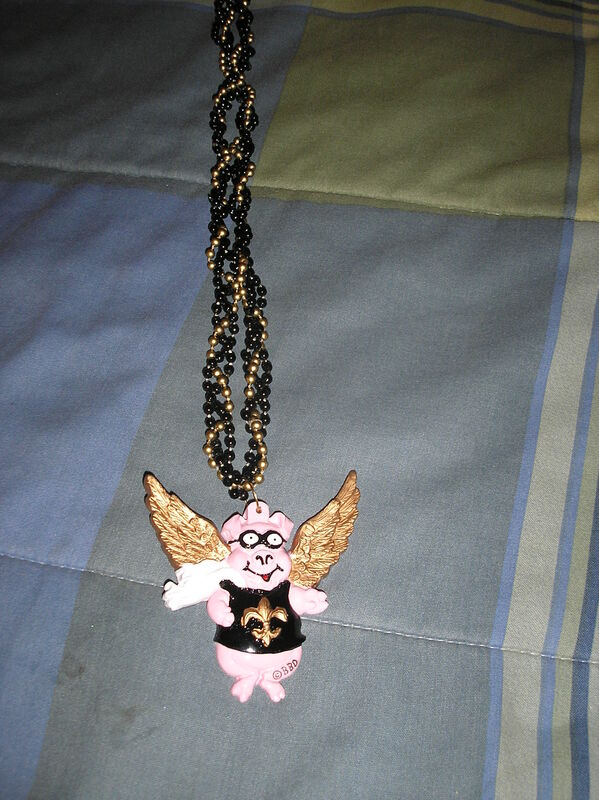 the Saints would be in the Super Bowl when pigs fly. Well, the pig has flown!! We got in the stands about 7 a.m. and stayed until the truck floats started. We would have stayed a lil longer but, I have enough throws to last a lifetime. 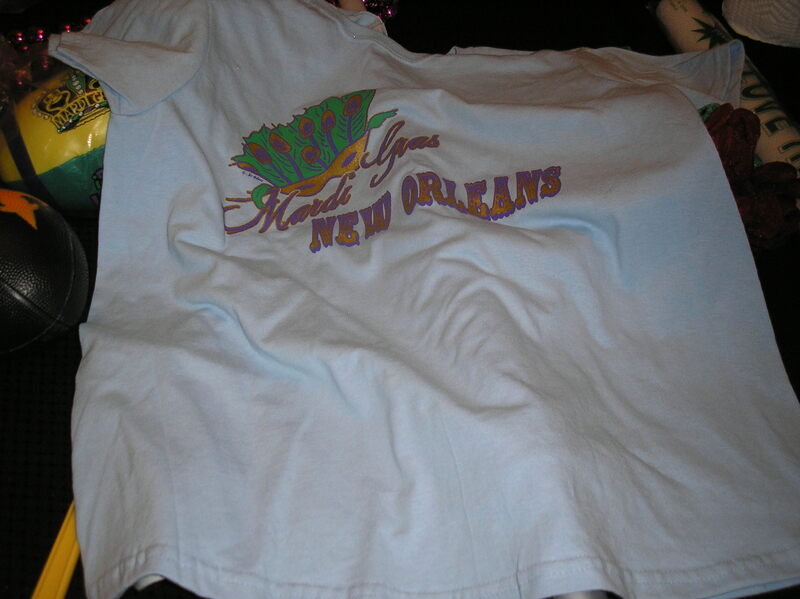 Or until the newest all female krewe, Krewe of Nyx calls me. Yep! 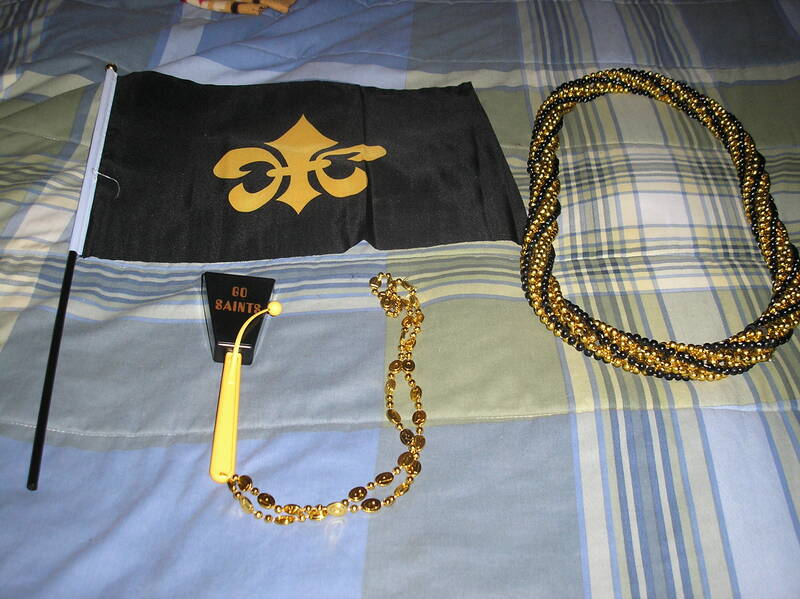 I’m on the waiting list to become a member of the Krewe of Nyx and I can’t wait for the phone call! This was their first year parading so, I’m hoping I’m getting in early enough to become a member…wish me luck! We left the grandstands at 3 p.m., I figured 8 hours out there was more than enough. we went and hung out on the bayou like two teenagers and finished off the beer and food we had with us. Then, we went home and took a nap…like two old people. Now, it’s festival season with the Soul Festival bringing it in on March 3rd and 4th at the Audubon Zoo. By the time the festivals wind down, it’ll be football season. right in the middle of Mardi Gras. Loving life in the Big Easy! Last year, I didn’t have a sign…lets see how many I get with one. Although, they’ll probably be too drunk to read it…. By the time most of you read this, I’ll be out on the parade route. 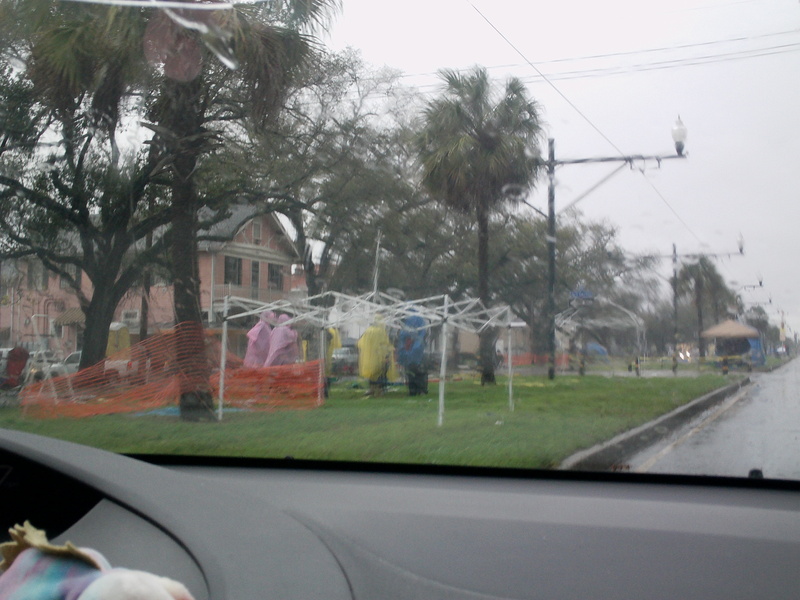 It’s Fat Tuesday and folks are already out getting their spot and preparing for the big day. 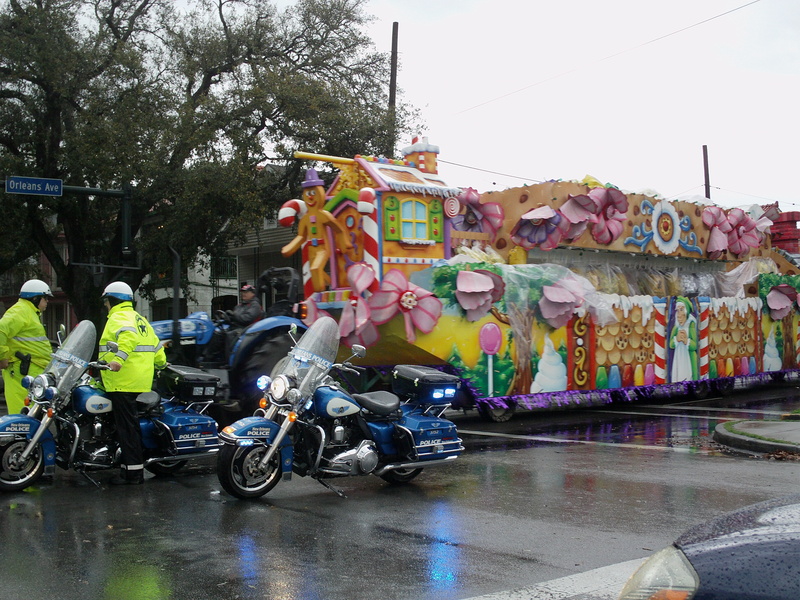 We had 6 parades that rolled uptown. NavySeal and I got out there about 7 a.m. and stayed there until 8:30 p.m. I would have stayed longer if Bacchus would have been throwing but, they were very chinchy . 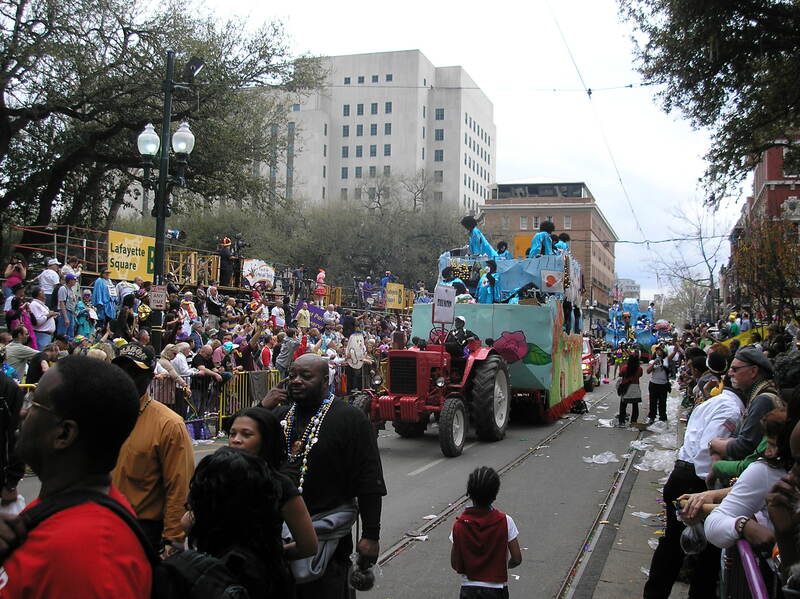 The economy must be really bad for a lot of these crews because, they are barely throwing anything off of the floats. 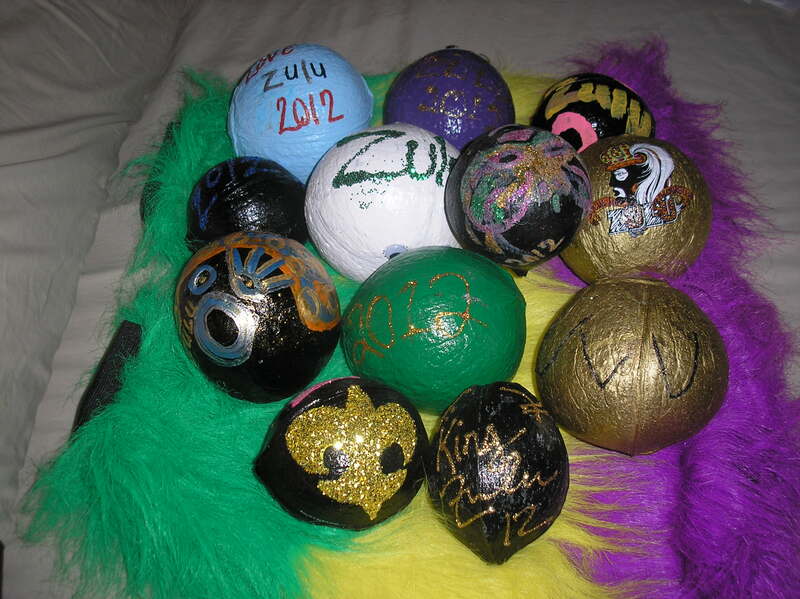 Thoth is officially my favorite krewe on a Sunday. They always throw a lot of stuff. 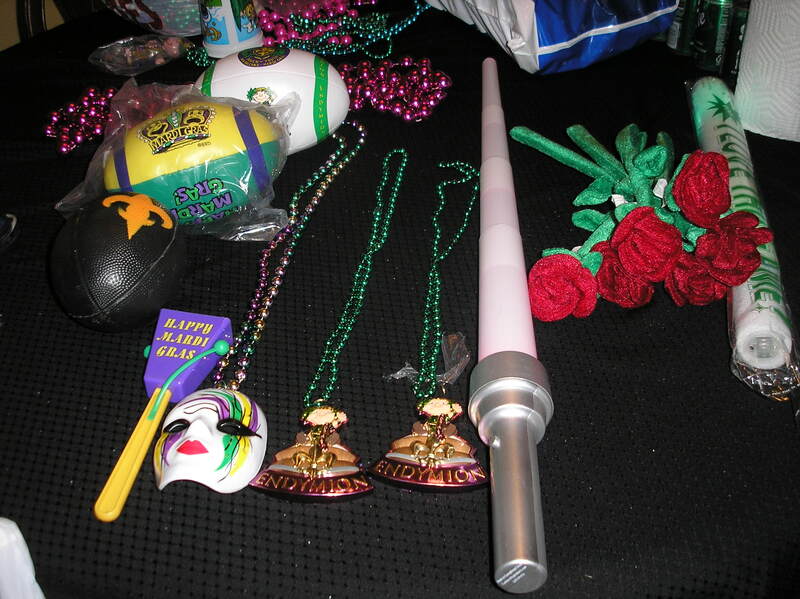 when stuff flew off of the floats like crazy! The crowds were super thick but, since we got out there early, we were right in the front. NavySeal made out like a bandit! 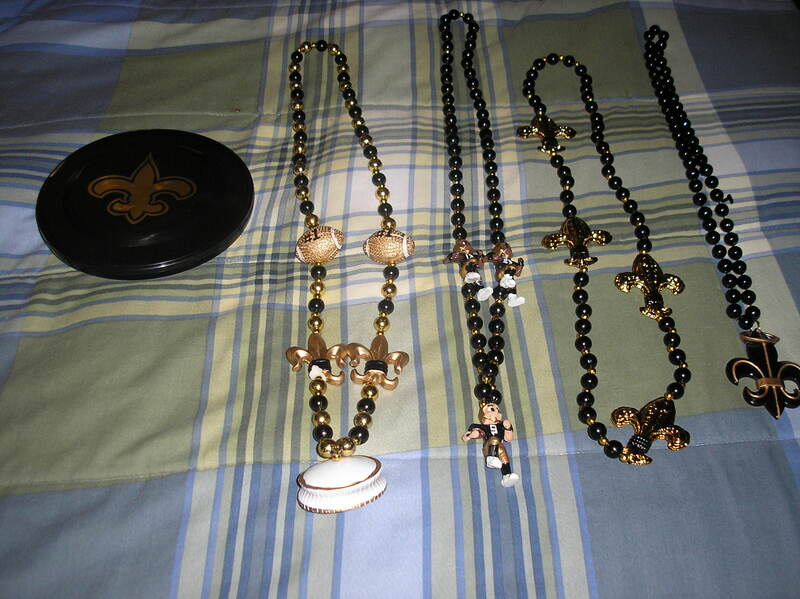 They threw him some cool Saints beads which I’ll take a pic of later on today and post. 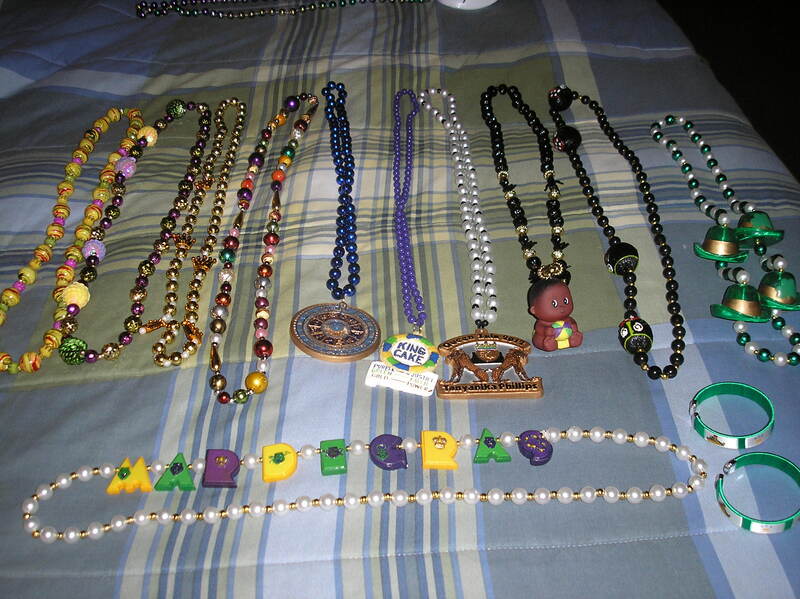 As much as I love Mardi Gras, I’m glad today is the last day. This stuff can wear ya out! Well, I didn’t get rained on for Endymion. They rolled and the weather held up which was great. there was no way he was letting me go out there by myself. even though he did get pelted in the eye with a pair of beads. I kissed it and made it all better…he’s alright now. 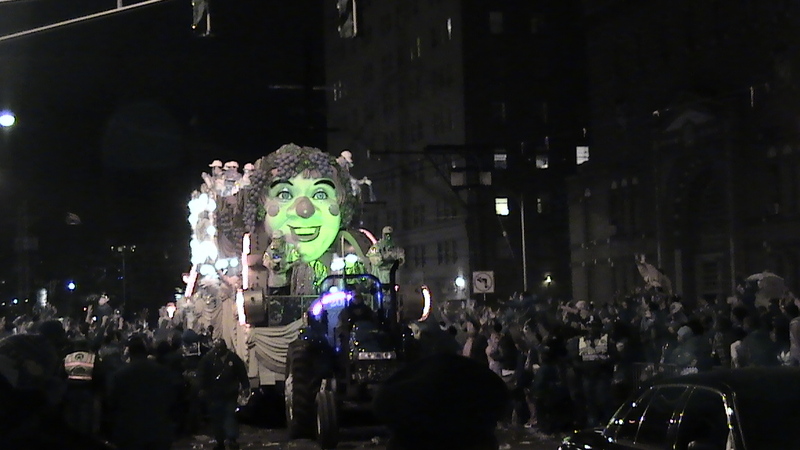 The crowd was really thin for an Endymion parade. They usually have crowds 10 or more people deep. but at least they rolled. Most of the bands pulled out of the parade because of the weather but, that was to be expected. 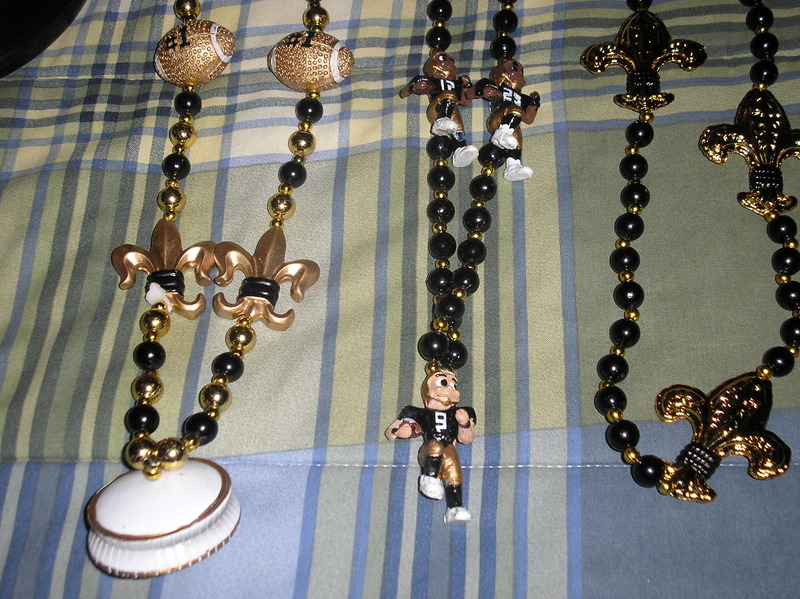 I LOVE my beads with the mask on it! One of the riders on the float spotted me and handed me those roses…such a sweetie rider! 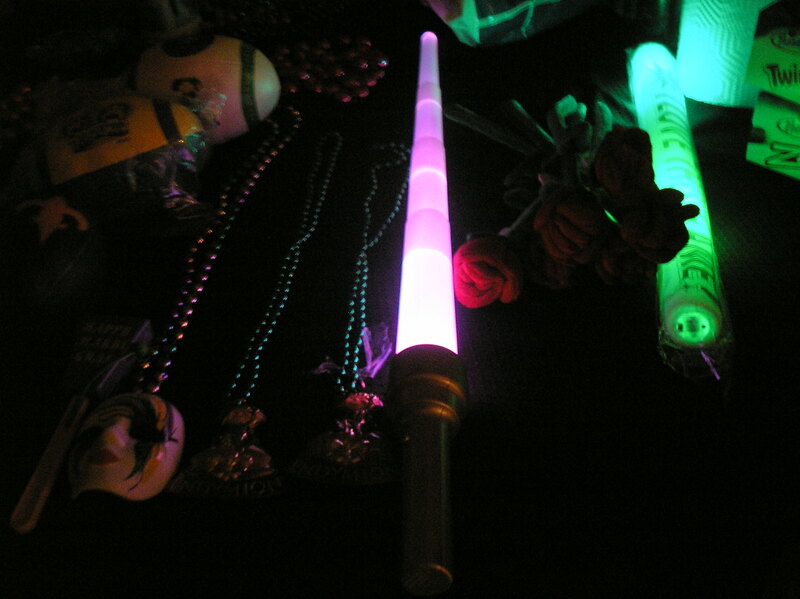 The young kids out there were trying to get me to give them my light saber…nah, kiddies…that’s mine! Ya know ya favorite Bayoucreole chick was gonna get one of them bad boys! I’m a hustler baaaabyy and I want you to know…. NavySeal and I are heading out at 6:45 a.m. and trying to get under the bridge again this year. YellowJacket is with her dad. He has a slew of relatives in town. YellowJacket’s older brothers are in their 30’s and, she been an auntie since she was around 10. So, she’s over there with her nieces and nephews having a wonderful time…I think they’re all heading out to the parades today as well. 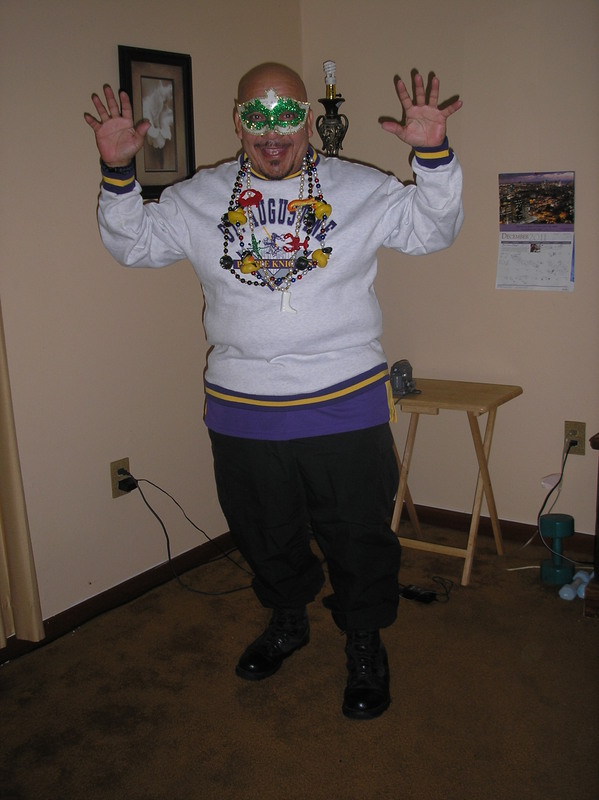 PurpleKnight will be home today as well as my dad who will probably end up hibernating in his room today…chillaxing. It’s still raining but, at least it’s not a downpour. 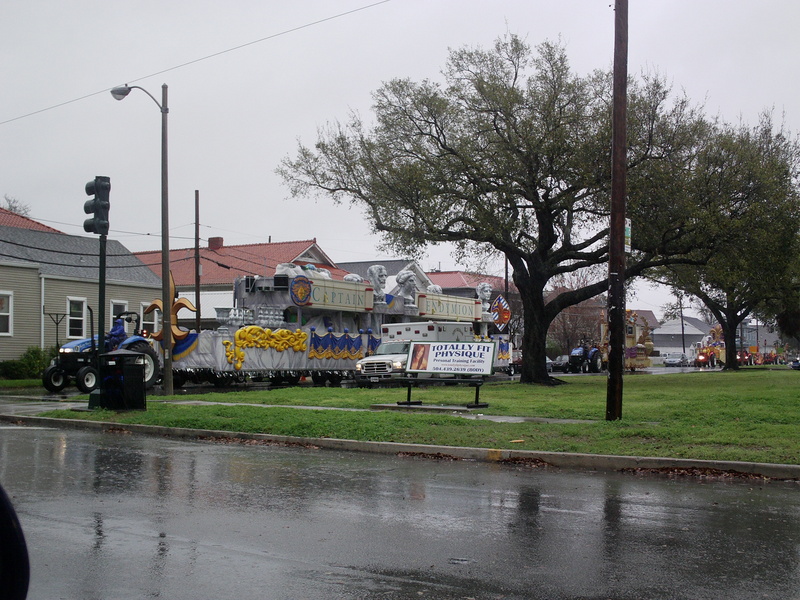 Rain clouds are still hanging around us but, Endymion says its’ gonna roll. One thing I know for sure, the floats are out of the den and lined up. 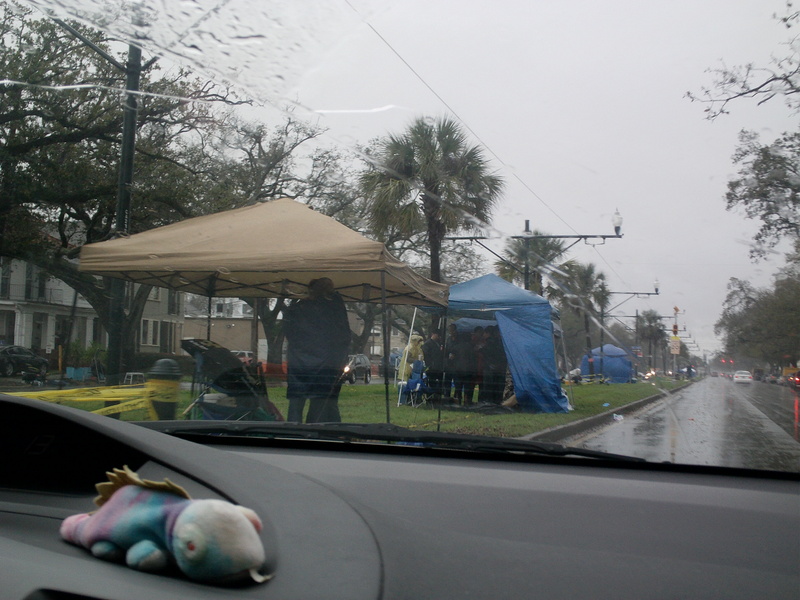 Die hard carnival folks have already staked out their spots on the muddy neutral ground….braving the rain and everything! I don’t know if I’d be standing in the rain a few hours waiting for the parade to pass. Oh, don’t get me wrong…I plan on heading out if they roll and it looks like they will. I’m just waiting to the very last minute to do so. Cuz, I’m a die hard…just a lil drier than the rest of ’em is all. last night’s walk wore me out! 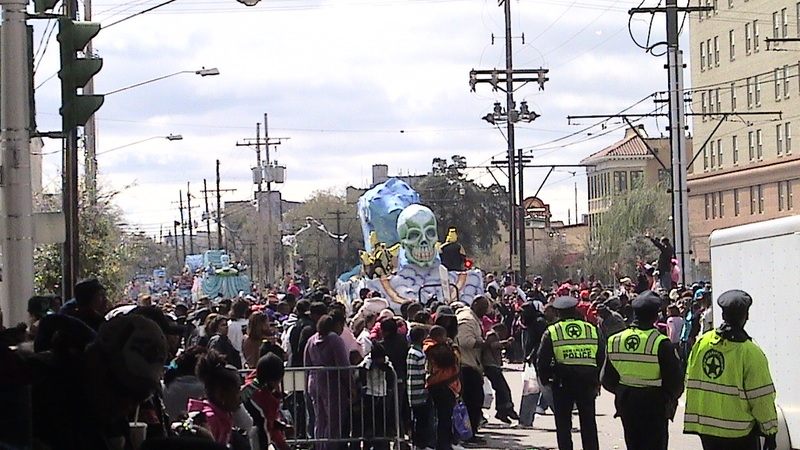 I’m not gonna miss the parades though, catching them live with WWL’s parade cam which is much better than NOLA’s to me. you’ll have the best seats in the house that’s for sure! 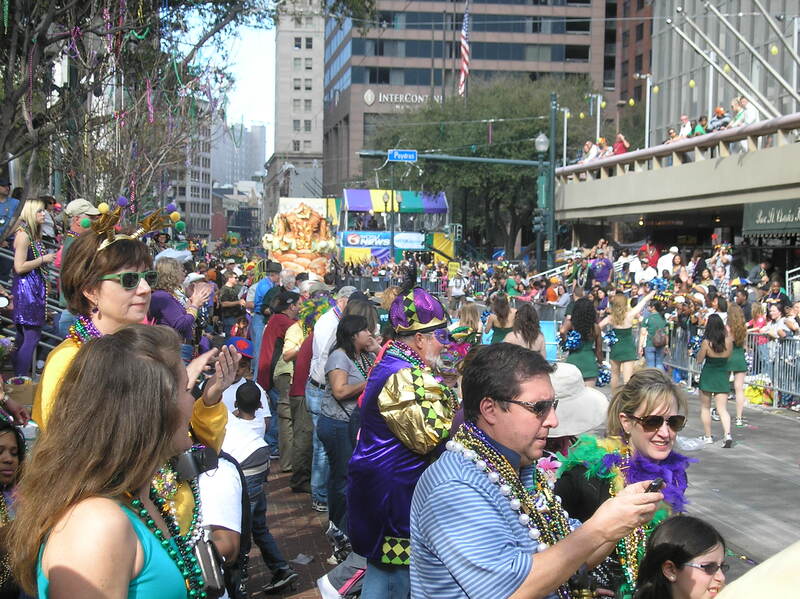 If you check the stream and nothing’s there, that only means that, they haven’t reached Gallier Hall yet. Just keep checking because, they should be reaching there soon. Saturday parades have been cancelled due to 100% chance of rain…all except Endymion who says that, they will try to run. Watch they end up cancelling at the last darned minute! Which will make Sunday even worse than the parade day from hell last year! Because NOMTOC which is a huge parade for the westbank has decided to cross the river and parade over by US on the eastbank! I know you Wetbankers are pissed about that one! 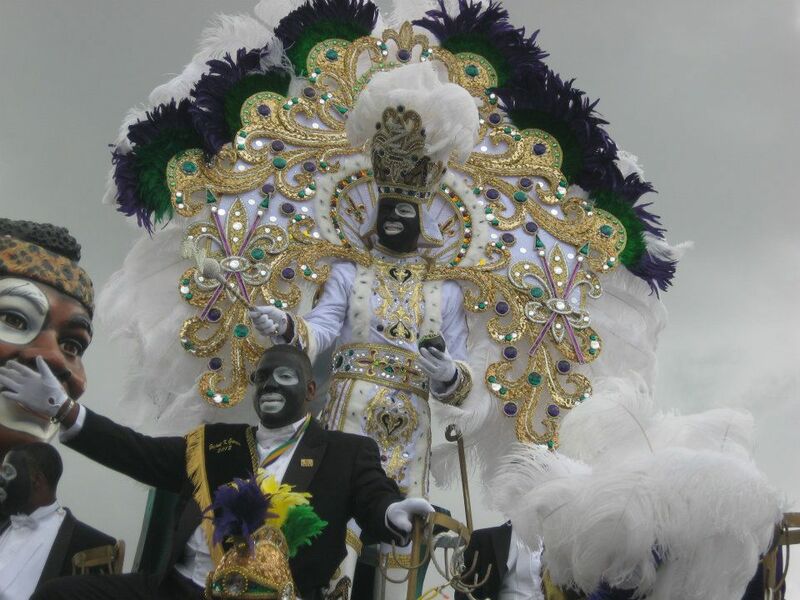 They were supposed to roll Saturday but because of the rain, they’ve decided to roll Sunday uptown at 9 a.m.
…and you can ADD Endymion (another Super Krewe) after Bacchus if the rain is too bad for them to hit the streets! I better take an extra dose of something to keep me going Sunday. I just hope it isn’t cold like last year. Mardi Gras Under The Bridge Last Night…Why They’re Called The Best Band In The Land.